ANN ARBOR, Mich. - One of the new traditions of college football bowl season is players deciding whether or not to participate ahead of the NFL draft. Michigan will definitely be impacted, as the Wolverines have a handful of seniors who will be drafted and several juniors who still have decisions to make. 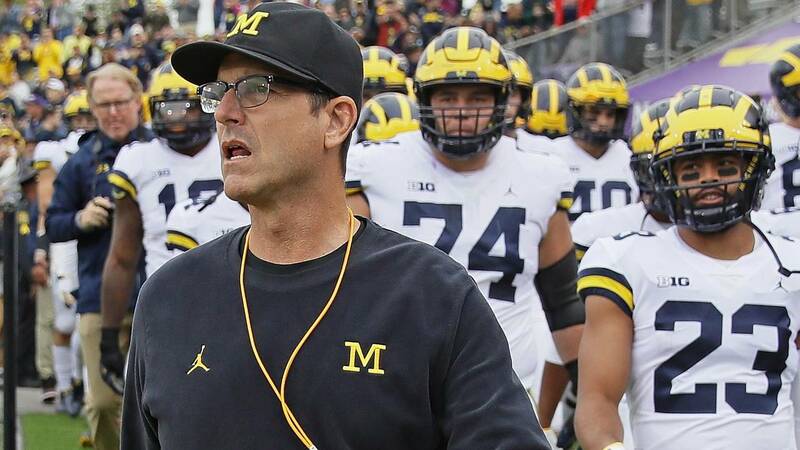 Rashan Gary has already been ruled out for the Peach Bowl after declaring for the draft, while classmates Devin Bush and Josh Metellus claimed they will play. A lot can change in 3 1/2 weeks, though, so who knows if they will decide to risk injury if they declare for the draft. Jim Harbaugh said Gary is the only player he expects to sit out the bowl game, so it's possible Michigan will be at almost full strength. If not, there are plenty of young players on both sides of the ball who could step into bigger roles. Here's a look at some of the players who could replace Michigan's draft prospects if they decide not to play. As stated above, there's no "if" for Gary in the bowl game. The future top-10 pick already announced he won't play in the bowl game, so Kwity Paye will have to step up. That shouldn't be a problem, because Paye has stepped up all season. When Gary injured his shoulder at Northwestern, Paye had his best game of the season, making four tackles and two sacks. He also made 1.5 tackles for loss against Michigan State with Gary out. Paye has been a regular member of the defensive line rotation since the start of Big Ten play, so this won't be a major adjustment for Don Brown. He made 29 tackles this season and 5.5 tackles for loss. Shea Patterson hasn't addressed his future since the Ohio State game, so it's unclear if he will return for a second season at Michigan. Patterson got banged up a few times this season, most recently against Ohio State. If he declares for the draft, he'll need to consider the pros and cons of playing in the Peach Bowl. Brandon Peters would be the safe bet to start the bowl game in place of Patterson, but true freshman Joe Milton is the more intriguing option. Milton had an up-and-down game against Ohio State, completing two of three passes for 45 yards and an interception. He also scored his first career touchdown, a four-yard rush. Most importantly, Milton has only appeared in three games this season, which means he can play in the Peach Bowl without burning a year of eligibility under the new redshirt rule. Chase Winovich is the type of player who would want to play in the bowl game no matter what, especially after he returned for his senior season and became the team's emotional leader. But Winovich already battled through an injury to play in the Ohio State game, and he's sure to be selected in the upcoming draft, so there's definitely risk in that decision. If Winovich can't play for any reason, true freshman Aidan Hutchinson is a candidate for more playing time. The young defensive end had a solid freshman season, making 15 tackles and 1.5 tackles for loss. Hutchinson got off to a fast start this year, as 12 of his 15 tackles and all of his tackles for loss came in the first six games. He's got 15 bowl practices to earn more playing time, though, and even if Winovich plays, Hutchinson should be part of the rotation. Josh Uche also figures to get more playing time in the Peach Bowl to fill in for Gary and, if necessary, Winovich. He led the team with seven sacks this season, so even if Winovich plays, Uche will get plenty of snaps. As a senior, there was no question Karan Higdon would be entering the NFL draft after he returned to school and rushed for 1,220 yards and 10 touchdowns. 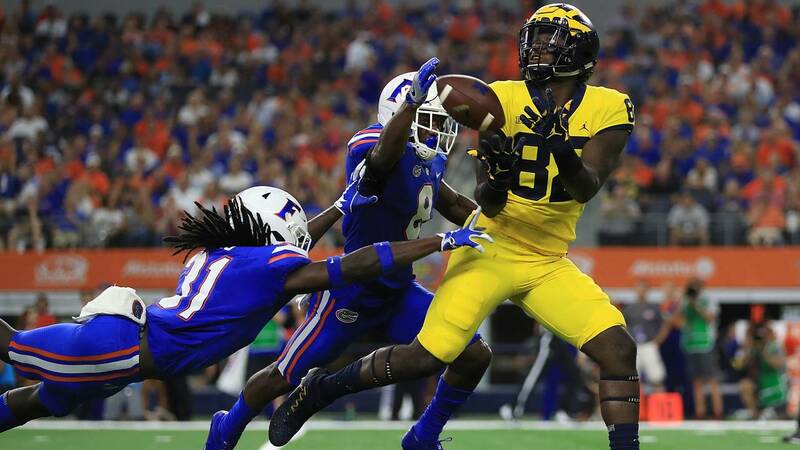 Higdon is an example of a player who increased his stock. 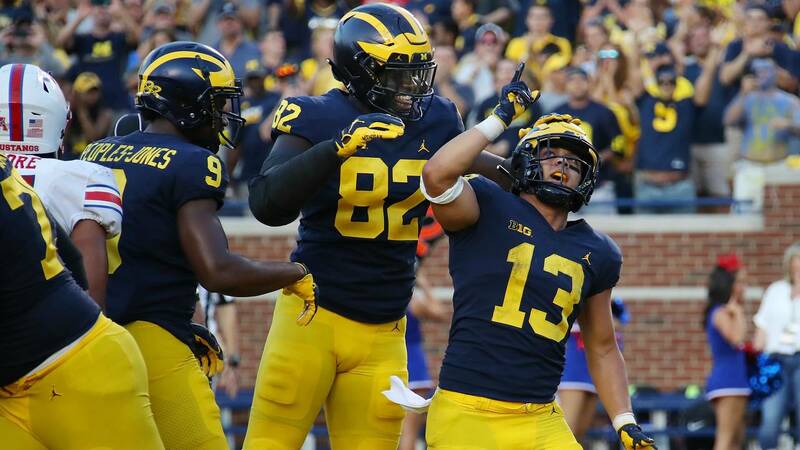 Higdon is a team captain and will likely want to suit up one more time at Michigan, but if he doesn't play, Tru Wilson is the obvious choice to pick up his carries. Backup running back Chris Evans will get his carries either way, but Wilson is better suited to play Higdon's specific role. Ben Mason could also be used in more short-yardage situations if Higdon is out. Wilson rushed for 360 yards on 59 carries this season, averaging about 6 yards per carry. 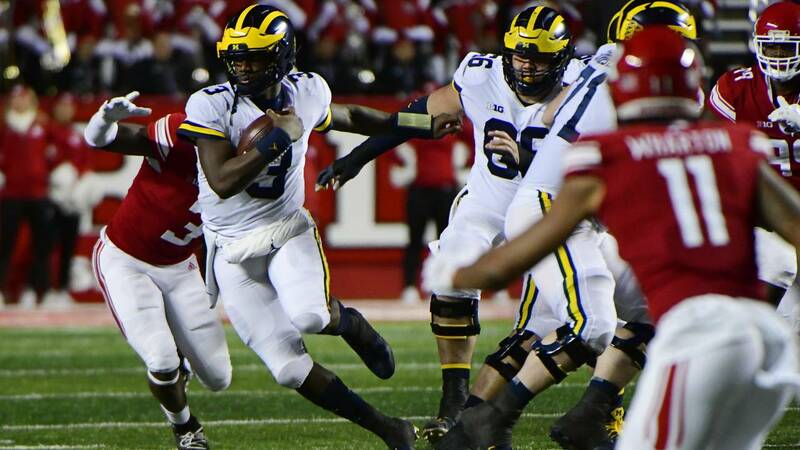 He's a more than capable third option, and Michigan would be fine with him getting an increased role in the bowl game. 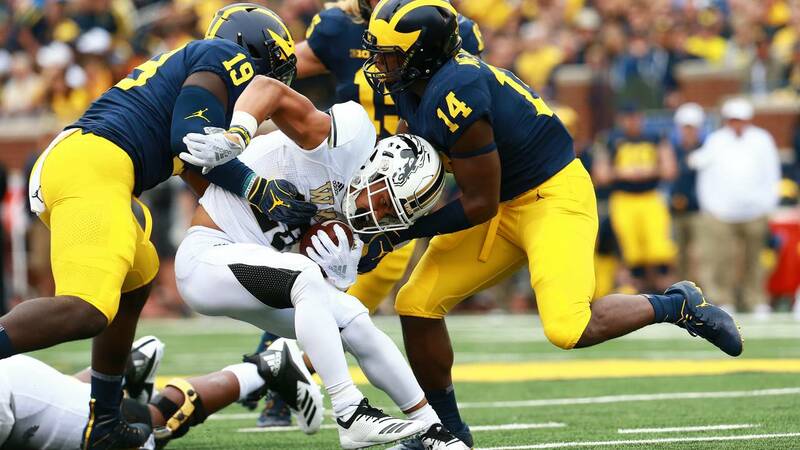 The Michigan linebacking corps has been a four-man rotation this year, with Bush and Khaleke Hudson playing every down and Josh Ross and Devin Gil getting their share of playing time. If Bush, who would likely be a first-round pick if he declares for the draft, decides not to play in the Peach Bowl, Ross would likely play inside linebacker and Gil would play on the outside. Ross has played in all 12 games this season, making 50 tackles and 3.5 tackles for loss. He's fast enough to get to the sidelines and a fundamental tackler in space. Ross isn't as good as Bush, but he's an able replacement. Bush has said he plans to play in the Peach Bowl, but if he decides to forego his senior season, that could impact his decision. Zach Gentry is a player who could use more polish at the tight end position, but there's no arguing his results make him an interesting NFL prospect. Gentry finished third on the team with 30 catches and 475 receiving yards. He also caught two touchdown passes. There hasn't been any indication that Gentry would leave early or miss the bowl game, but Nick Eubanks would be the player to step into his role. Eubanks is 3 inches shorter than Gentry, but he's still a difficult matchup at 6-foot-5. He made eight catches this season and quietly finished fourth on the team with 157 receiving yards. Eubanks led the team with 19.6 yards per catch, so he's got the big play potential to take over the top tight end spot. Sean McKeon would also see more snaps without Gentry in the lineup, but he plays a different role in the offense -- picking up short-yardage targets. There hasn't been a ton of draft buzz around Khaleke Hudson so far, but he's one of the Michigan defenders who could be an unexpected departure. 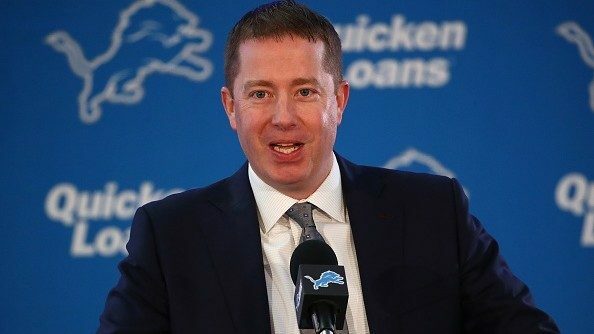 Hudson plays the unique VIPER role in Brown's defense, and it's difficult to replace someone who has the versatility to essentially play cornerback one play and shift to an edge rusher the next. If Hudson doesn't play, Jordan Glasgow is a likely fill-in at the VIPER spot. He's been a special teams star throughout the year, but he's also contributed on defense when given the opportunity. Glasgow has 25 tackles and two sacks this season. He's got good speed and is serviceable in coverage, but he doesn't have Hudson's polish at the position. After by far his best college season, Josh Metellus is another Michigan player who has to evaluate his draft status, though he said he's preparing for the Peach Bowl. Metellus made 44 tackles, 3.5 tackles for loss, three interceptions and six pass breakups this season. When Metellus was ejected for targeting against Notre Dame, Brad Hawkins was his replacement at safety. Hawkins struggled in that game, but rebounded to have a nice season as the first backup at the position. It was Hawkins' first full year at safety after switching from wide receiver, and he made 24 tackles and three tackles for loss. He's a good run stopper, but his coverage skills definitely aren't up to the standard set by Metellus this season. David Long has been arguably the best cover cornerback in the country this season, but it's unclear if he'll make the early jump to the next level. If Long declares for the NFL draft, it's possible he'll sit out the bowl game after an injury scare at Ohio State. In that scenario, Lavert Hill and Brandon Watson would move into the top two cornerback spots, leaving the third spot open for Ambry Thomas. 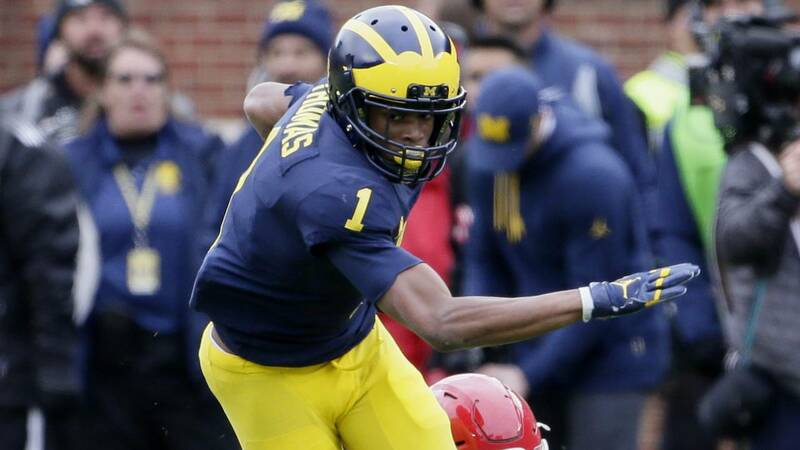 In two years at Michigan, Thomas has primarily been used as a kick returner. In his limited snaps at cornerback, Thomas has seen mixed results. 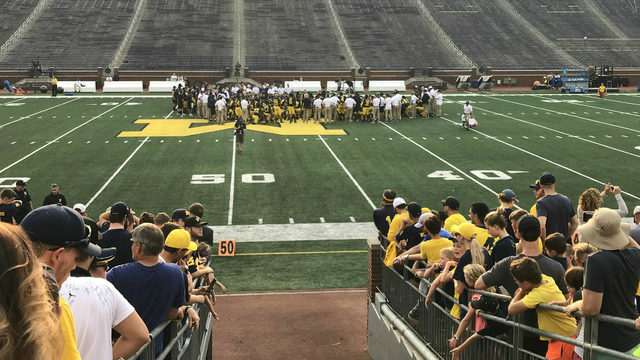 The dropoff from Long to anyone on Michigan's bench would be a big blow to the defense, especially since Brown demands his cornerbacks to play one-on-one while he commits several players to the blitz. Michigan has the depth to replace one of its star cornerbacks for the Peach Bowl, but if both Long and Hill sit out, it will be a tough situation. Long, Hill, Watson and Thomas have been the only cornerbacks to make any kind of contribution this season, so if two of those are taken out of the equation, Brown will have to turn to an unproven commodity. One under-the-radar option is true freshman Myles Sims, who hasn't even seen the field this season. 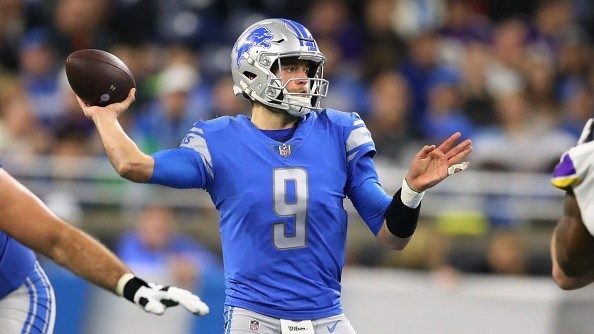 It might sound like a long shot, but Michigan really doesn't have a proven option behind Thomas. Sims was the fourth highest ranked member of Michigan's 2018 recruiting class and the No. 17 cornerback in the country. Michigan is also playing in his hometown of Atlanta, so it would be a great opportunity for him to make his college debut. Sims has good size and speed, but he'll need to really impress the defensive staff during bowl practice to crack the lineup for the first time.